"Those who educate children well are more to be honored than they who give birth to them; for the first only gave them life, while the latter the art of living well"
Dr. Vasiliki Brinia is the Head of the Teacher Education Program (TEP) of the Athens University of Economics and Business, Scientific Director of the TEP and a lecturer at the Department of Informatics, School of Information Sciences and Technology of the Athens University of Economics and Business. She holds two Bachelor’s Degrees in Business Administration, a Master's Degree in Business Administration (MBA), a Diploma in Pedagogical Studies, a Diploma in Counseling, a Doctoral Degree (Ph.D.) in Education and Teaching Sciences and has carried out PostDoc Research in the teaching methodology of adult education through experiential teaching methods. She has been an expert-advisor at the Ministry of Education in the organizational and administrative restructuring of the Greek educational system. She has long-term administrative and teaching experience in secondary education and adult education. 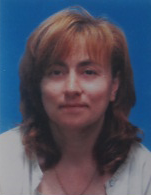 She has been teaching at the Athens University of Economics and Business (since 2005), as well as in Postgraduate Programs, such as "Studies in Education-Management of Educational Units" and "Adult Education" of the Hellenic Open University (since 2008), in the Postgraduate Program "Institutions and Health Policies "of the University of Peloponnese-Corinth (since 2011), in the Postgraduate Program "Theory, Practice and Assessment of the Educational Process" of the Department of Philosophy, Pedagogy and Psychology of the University of Athens (since 2014), in the Postgraduate Program "Education and Culture" of the Harokopio University. 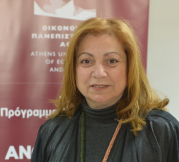 She has also taught at undergraduate and postgraduate level at the University of Piraeus (Department of Economics) and at the University of Patras (Department of Primary Education). 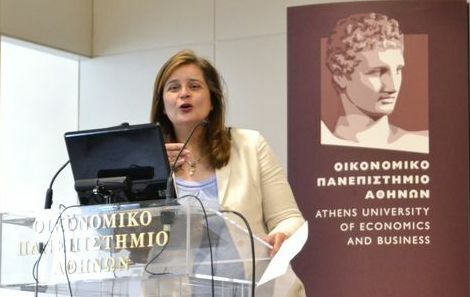 In 2010, with the mandate of the Senate and the Rector's Council of the Athens University of Economics and Business, she innovatively designed, organized and implemented, according to the Teacher Education Program of the Harvard School of Education and the Stanford Graduate School of Education, as a teaching and scientific director, the Teacher Education Program of the Athens University of Economics and Business, which is the first of its kind teacher education program certified by the Ministry of Education (2013) in Greece at the level of Higher Educational Institutes. She has pursued extensive research and writing activities in Greece and abroad. In particular, she has made 145 publications, 70 of which are research papers that have been published in international scientific journals with the blind peer review system. She has participated in several international and local scientific conferences. She is author of five monographs-university textbooks and of two chapters in two edited books. Finally, she is an active member of the international scientific community, as Editor-in-Chief, Journal of Education and Teaching Methodology, NADIA, Australia as an Associate Editor of the International Journal of Education Economics and Development-(Inderscience, UK) while she is a scientific member of the Editorial Advisory Board in international scientific journals with reviewers such as: Educational Studies (Taylor&Francis), International Journal of Educational Management (Emerald, UK), Journal of Applied Research in Higher Education (Emerald, UK), Higher Education, Skills and Work-Based Learning (Emerald, UK), Quality in Education, (Emerald, UK), International Journal of Teaching and Case Studies (Inderscience, UK), International Journal of Management in Education (Inderscience, UK), International Journal of Higher Education and Sustainability (Inderscience, UK), International Journal of Happiness and Development, (Inderscience, UK), International Journal of Business and Management (Asian Institute of Research), Education Quarterly Reviews (Asian Institute of Research), Sustainability (MDPI). He is a Lecturer in the Teacher Education Program, Athens University of Economics and Business. His research is in the fields of network economics, information systems and education. 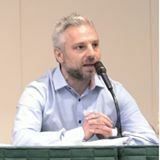 He is a graduate of Informatics and holds postgraduate specializations in Information Systems Management as well as in Economics from the Departments of Informatics and Economic Sciences of the Athens University of Economics and Business. In 2009, he was awarded a Doctorate Degree in Network Economics by the Athens University of Economics and Business. 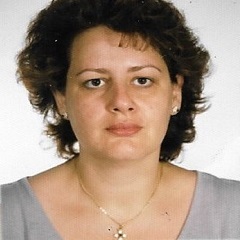 Dr. Konstantina Koutrouba is an Associate Professor at the Department of Home Economics and Ecology at the Harokopio University, with specialization in Pedagogy and Didactics. She completed her undergraduate and postgraduate studies at the Departments of History-Archaeology and Philosophy, Pedagogy and Psychology of the School of Philosophy of University of Athens. Her research interests as well as her published work focus on studying the factors of effective learning and teaching in classroom and, more specifically, on the exploration and application of innovative educational techniques aiming at the cognitive, social and psycho-emotional development of the teenager. She also studies strategies that enhance teachers’ professional development, in terms of pedagogical and didactic competence. Dr. Eleni Sfakianaki is an Assistant Professor at the School of Social Sciences of the Hellenic Open University, she teaches Business and Organizations Administration (BOA) through the course: Total Quality Management and Environmental Management and has been specialized in Total Quality Management in Education. Dr. Eleni Sfakianaki has long been known in the field of education for her innovative research and the work she has done in the TQM applications in education as well as the many seminars she regularly organizes for educating teachers in the TQM in education. She has edited the innovative collective volume that has been written by 64 teachers from private and public education for the introduction of the TQM in education. Eleni Sfakianaki has a Bachelor’s degree from the University of Patras and a Master’s degree and a Ph.D. from the University of Sheffield, Great Britain. She has more than 17 years of teaching experience in universities, both at the undergraduate and postgraduate level, while she has taught for three years at the University of Kingston in Great Britain. She is a reviewer in many international journals and has published, among others, articles on TQM in international journals under the blind peer review system. She is an Assistant Professor at the Athens University of Economics and Business at the Department of Business Research and Marketing. She holds a Bachelor of Economics from the University of Piraeus, a Master's Degree in Sociology (MA) from the Boston College and Business Administration (MBA) from the University of Massachusetts at Boston. She holds a Ph.D. in Management Science/Organizational Behavior of the Athens University of Economics and Business. 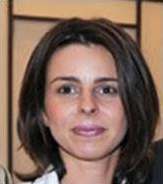 Dr. Yianna Voukelatou has studied Clinical Psychology in the Psychology Department of the Panteion University of Social and Political Sciences. She has pursued postgraduate studies (M.Sc) in the field of Social Psychiatry-Child Psychiatry at the Medical School of the University of Ioannina and doctoral studies (Ph.D.) in Clinical Psychology of the Department of Psychology of the Panteion University of Social and Political Sciences. She has worked for many years as a Psychologist at school units of the Ministry of Education and at Public Social Services, such as the Athens Municipal Diseases Hospital, at the Ministry of Health and Welfare and at the Prefecture of Athens. She has a long experience in adult education and has taught in many Universities, the National Center for Public Administration, the Local Government (NCPALG) and Lifelong Learning Centers. She has participated in Greek and international conferences, and has also published a variety of articles in Journals on school issues, such as in-school aggression, mourning, etc.